If you hung out with us at all this summer, you know we were busy with our summer bucket list activities for kids! You can check out some fun ideas for June, July, and August! But the fun doesn’t have to stop once fall arrives! 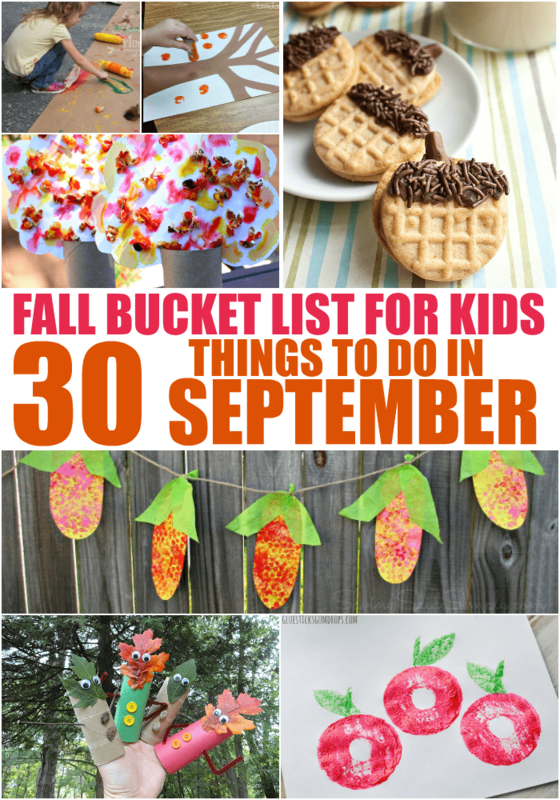 We’ve got the latest addition to our kids bucket list — 30 Things to Do in September! You might do an activity a day or pick a few to do together on the weekend. No matter what you do, don’t let back to school and life getting busy keep your from making memories together this fall! Even if you just collect leaves or toss the football together, make sure you’re spending time together and crossing things of your kids bucket list!